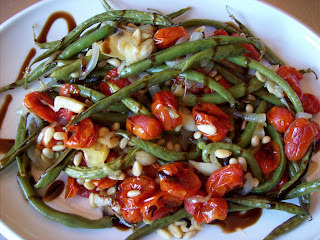 Napa Farmhouse 1885™: are you a green bean fan? These recipes sound really good. I am trying the roasted ones tonight and will let you know how they turn out. I usually burn everything but this recipes looks pretty easy. Your photos are beautiful. 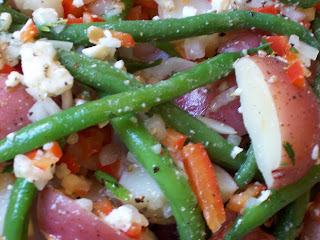 I love to cook fresh green beans, new potatoes, and ham that I cut into cubes. Add a bit of water, some garlic salt, pepper, let simmer all day...it's yummy! hi karen..thanks for the comments..and i look forward to your recipes! Yum! Your recipes sound (and look) delicious. I am making the spicy ones tomorrow for sure. Your green beans look wonderful! 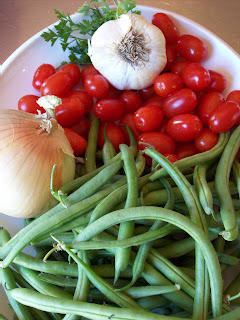 And those tomatoes =) Green beans grow so fast and furious (well, maybe not compared to summer squashes! ), that having a few excellent new ideas on hand is always good. Thanks for sharing! Man, looks fantastic! I'm going to try that one with the balsamic vinegar. I picked 5 bushels of green beans at our farm last week, bumper harvest I wasn't expecting, I froze them all, do you think I could still use them? The only green beans I eat are in Green Bean Casserole at Thanksgiving but your recipes and pictures look/sound great!!! I don't really like tomatoes...do you think I can substitute ketchup? thanks karla..and welcome..let me know how you liked the spicy green beans. 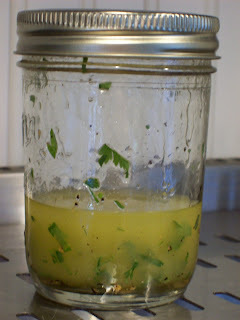 hi bright meadow farms..and welcome..regarding your frozen beans..did you blanch them prior to freezing? if not, they should be ok added to a cooked dish..i would not thaw first..but steamed, or added to a sauce, soup, casserole, etc.. should still be delicious. please let me know how they turn out. 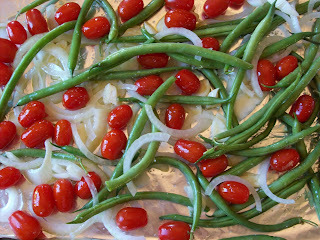 I made the green bean with tomatoes dish. 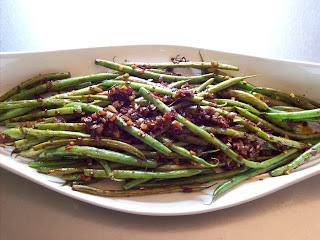 It was really, really good and will become my go to green bean dish. I am looking forward to next week's dishes. Thanks for doing this. Oh, yes, I am. I love green beans. 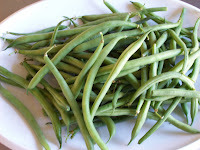 You might consider blanching and then shocking the green beans before using them, especially when sauteing. Wow. Such great ways to cook beans. I particularly love the Asian ones! Just found your blog on Food Buzz. Looks great! Looking forward to reading more. These sound so yummy! 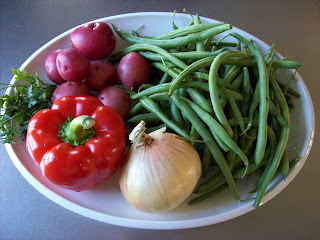 I have more green beans than I know what to do with from my garden and now I know what to do with them!